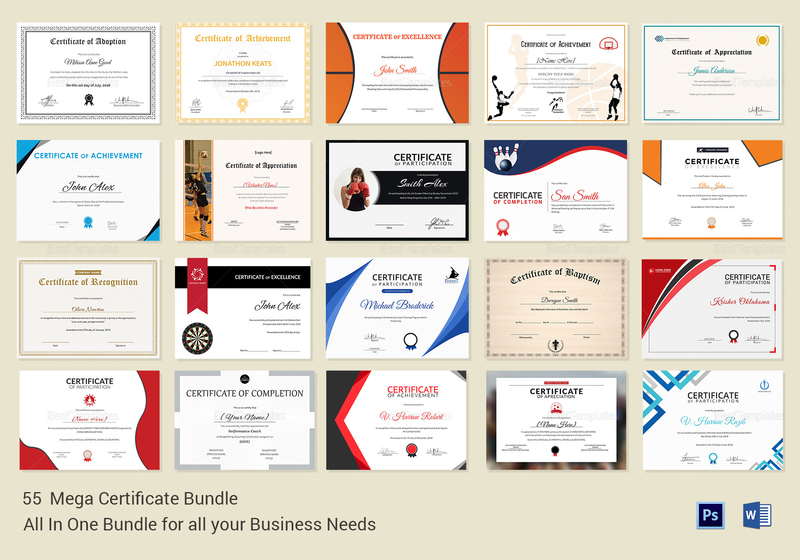 The ultimate template package for all your business needs is here! 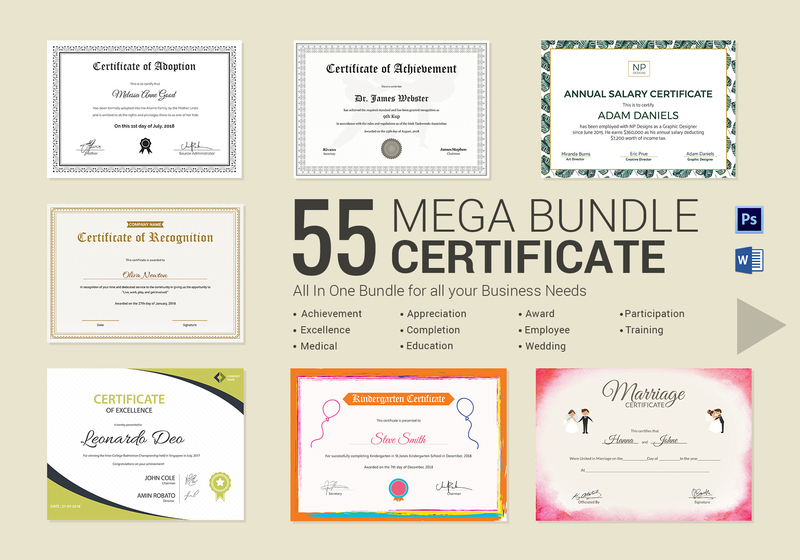 This 55 Printable Mega Certificate Bundle is an amazing product with the customer in mind. 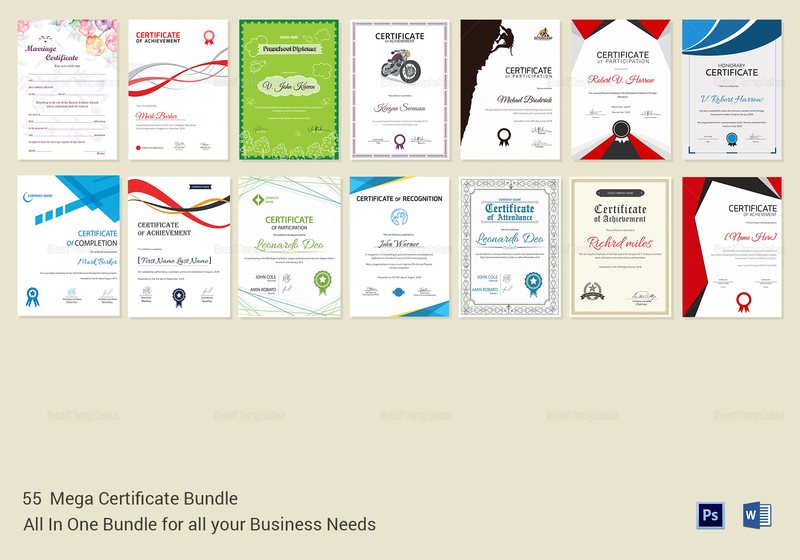 All these templates are professionally made and is a guaranteed money saver. 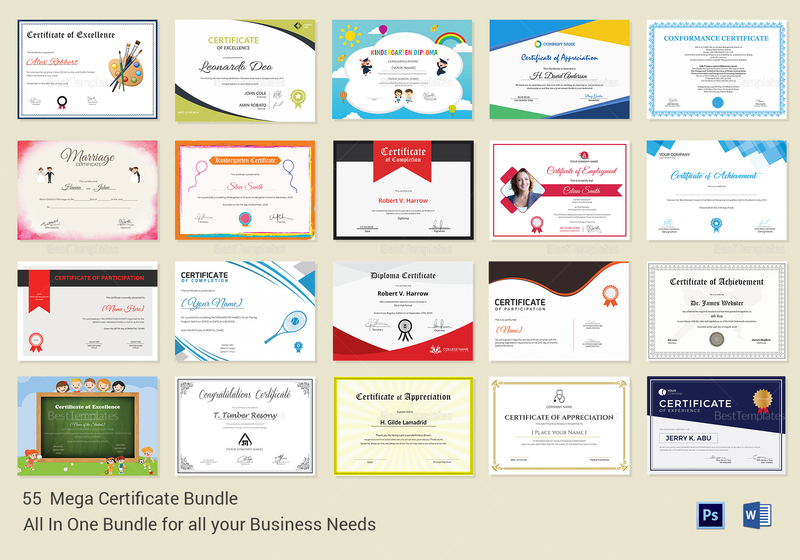 Easy and immediately available, this bundle ranges from a variety of certificates from a Certificate of Excellence to a Certificate of Achievement with multiple designs to choose from.